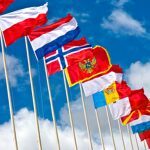 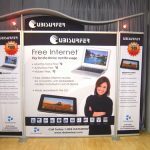 Are you setting up a booth at a shopping centre? 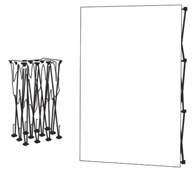 If so, then you must use a big exhibition wall to dominate your space and pull in the passing crowd. 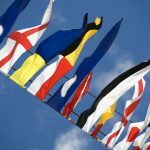 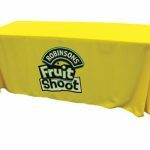 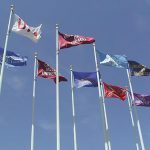 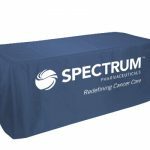 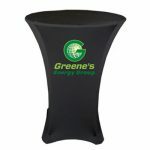 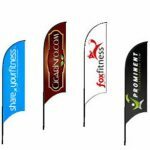 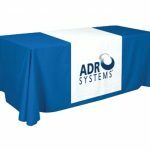 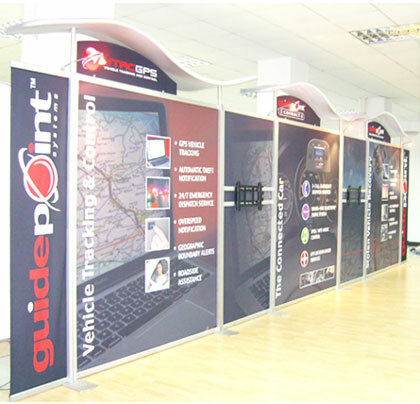 With a large, attractive exhibition backdrop, your target customers will be sure to stop by your booth and check out what you have to offer. 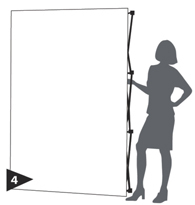 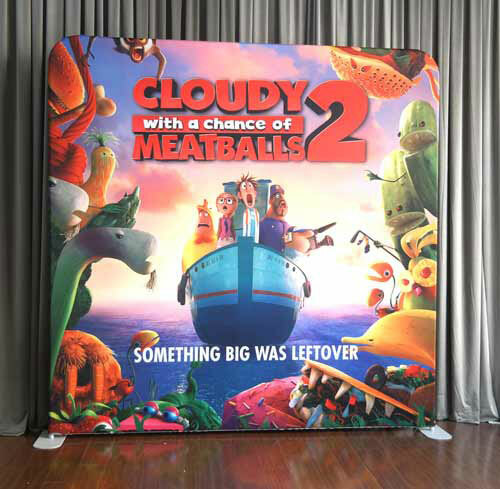 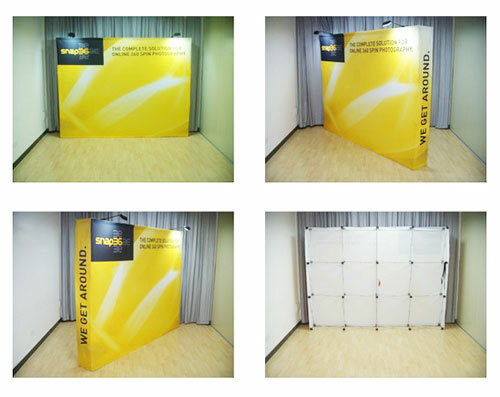 Our 2×6 straight pop-up fabric wall will do the trick for you. 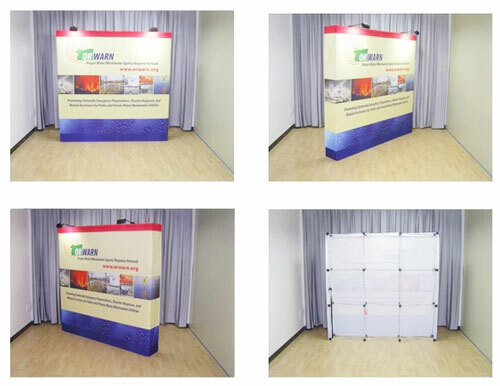 For exhibition stands located at shopping malls, size alone makes our 2×6 straight pop-up fabric display wall ideal as a backdrop. 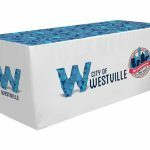 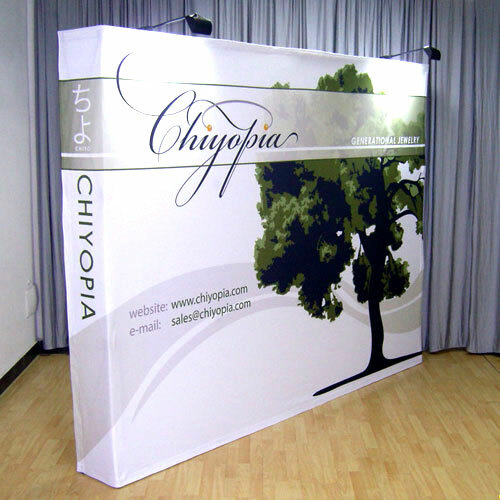 Made up of a frame and fabric graphic, this type of media wall measures 4469mm/W x 330mm/D x 1524mm/H and stands two cubes high by six cubes wide. 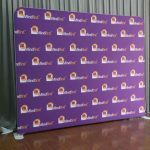 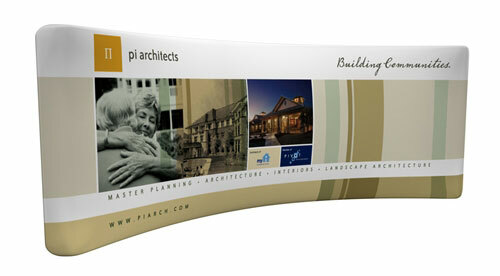 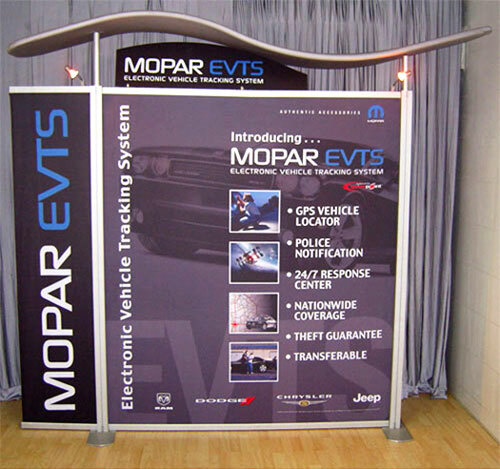 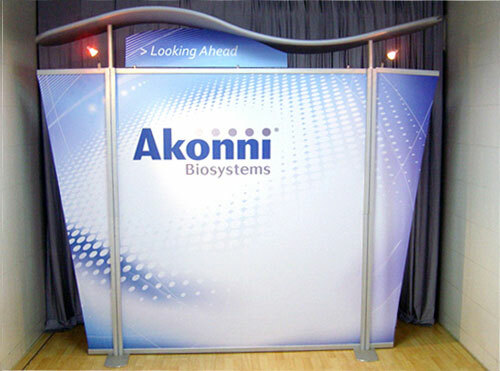 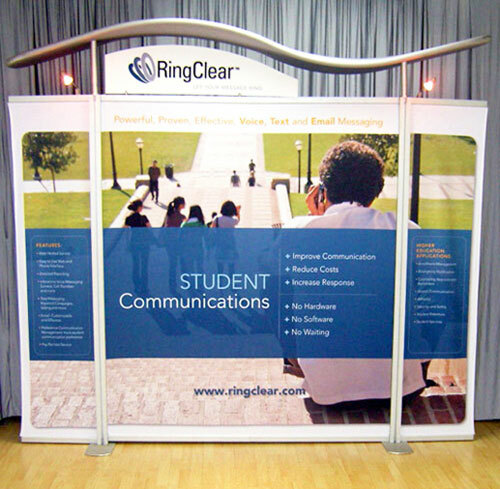 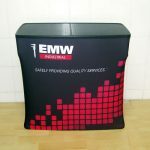 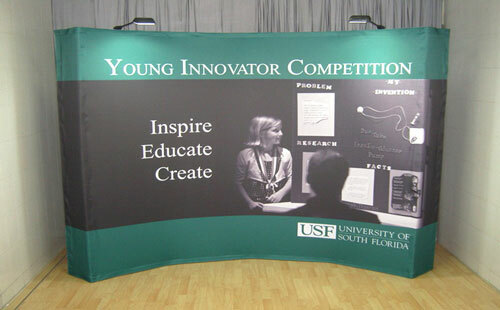 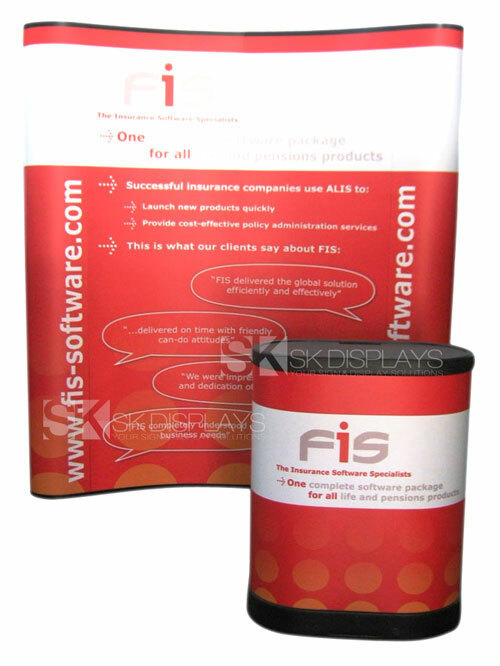 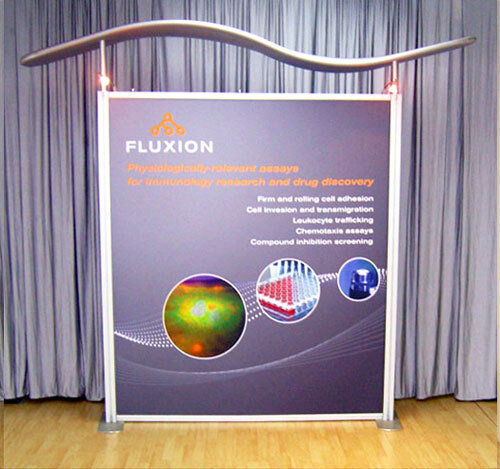 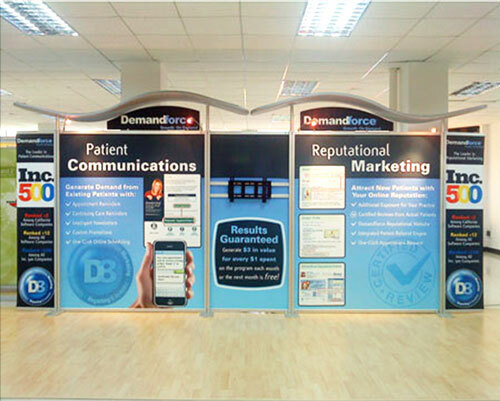 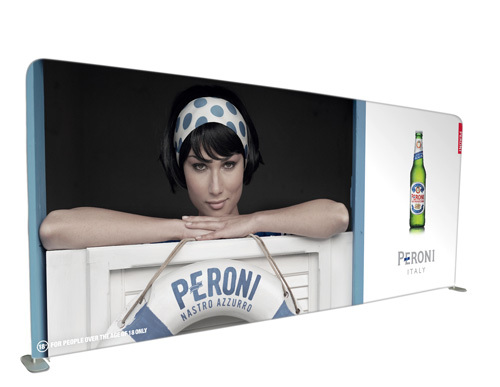 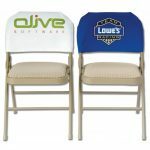 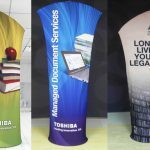 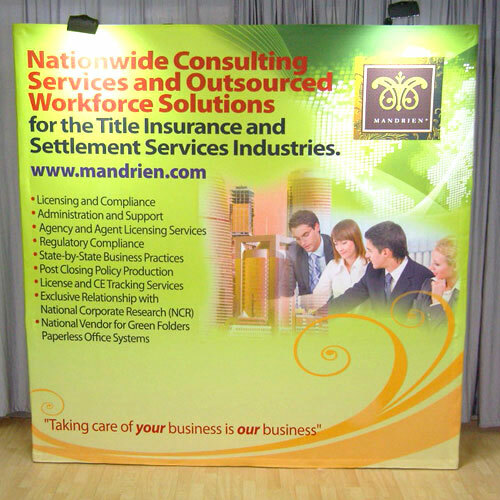 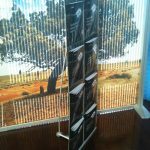 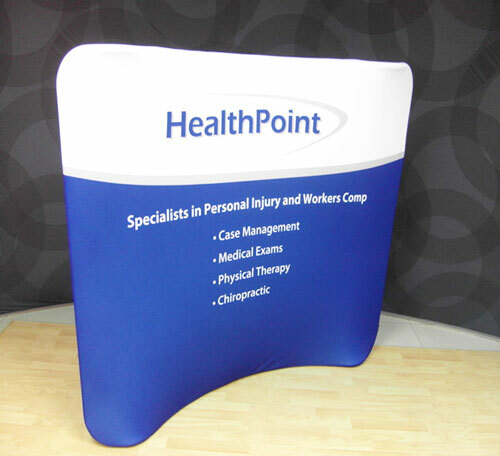 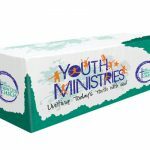 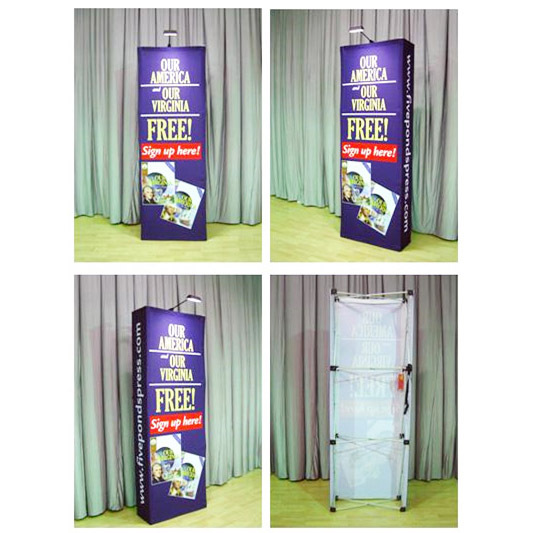 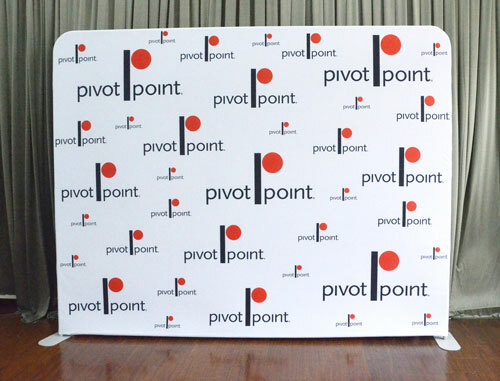 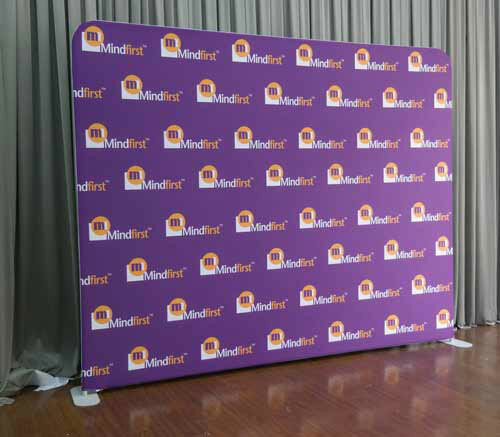 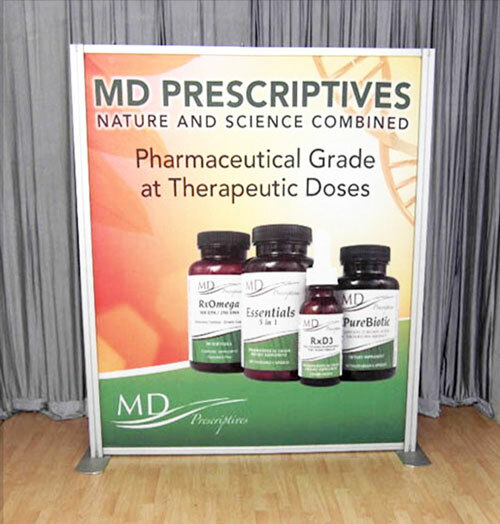 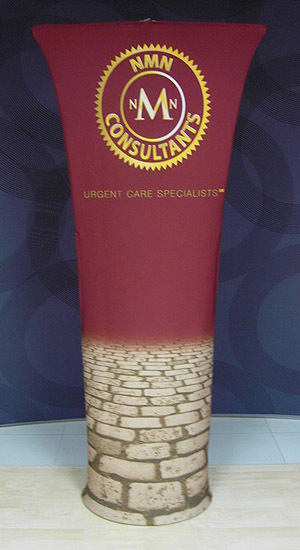 This 2×6 pop up fabric wall display also has a smart and professional look. 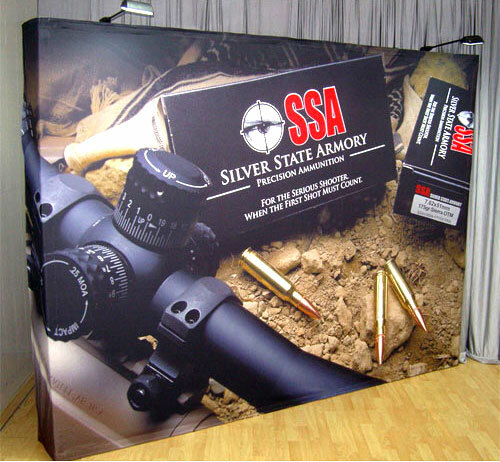 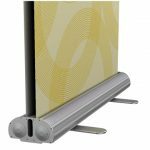 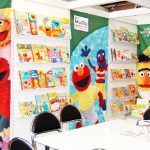 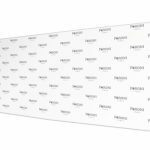 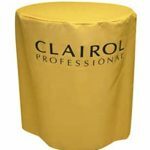 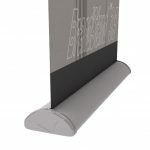 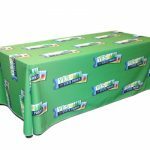 The 2×6 pop up fabric wall frame is straight and given a silver polish, while the fabric graphic is full colour and attaches to the frame via Velcro strips. 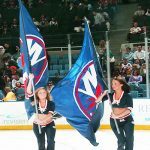 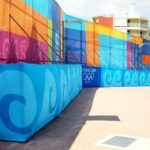 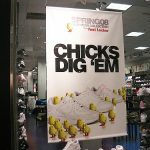 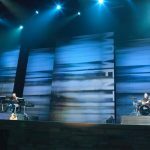 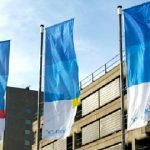 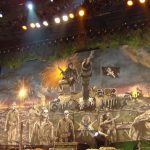 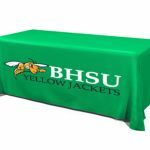 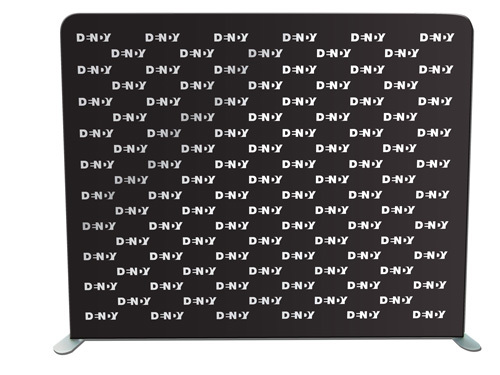 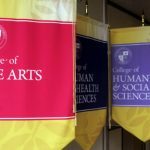 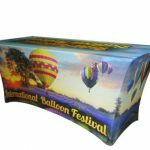 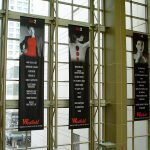 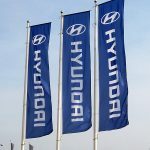 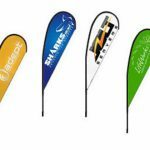 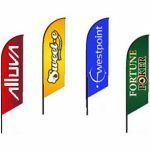 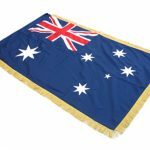 You can choose to have your fabric graphic single-sided or double-sided; double-sided displays are recommended for maximum impact. 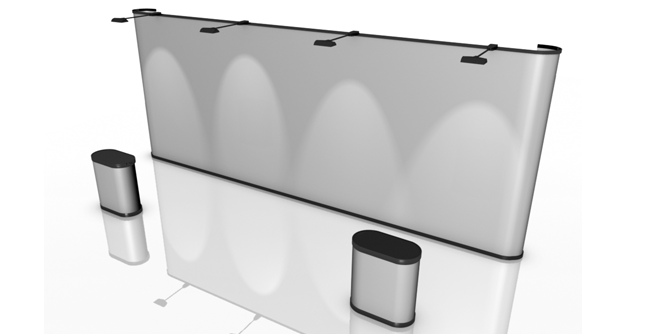 Halogen lights are also available as optional add-ons if you want to improve the appearance of your display with spotlights. 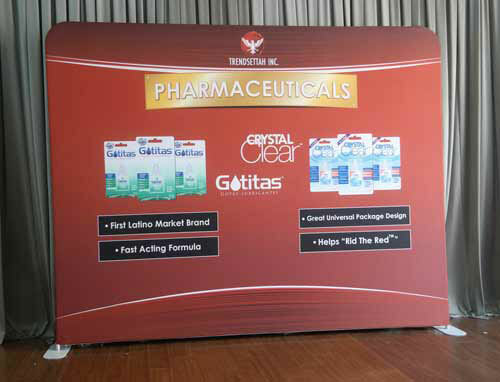 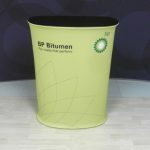 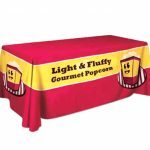 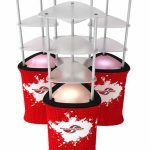 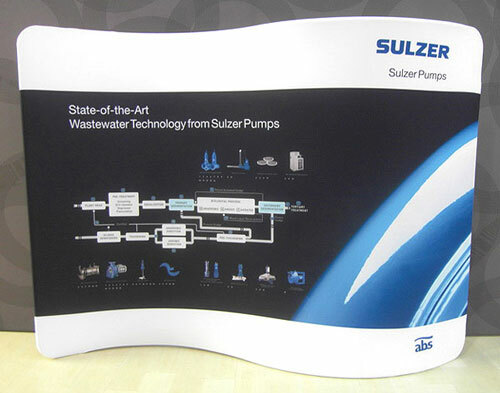 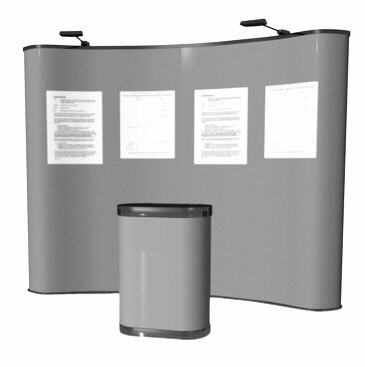 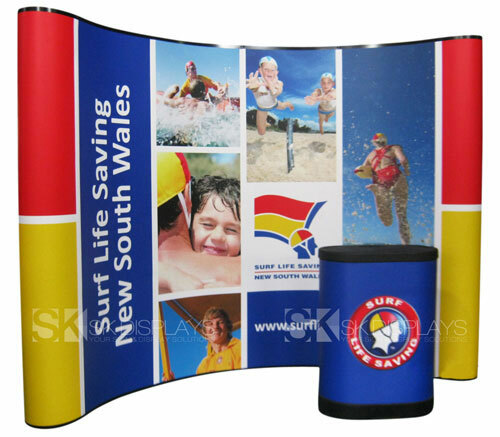 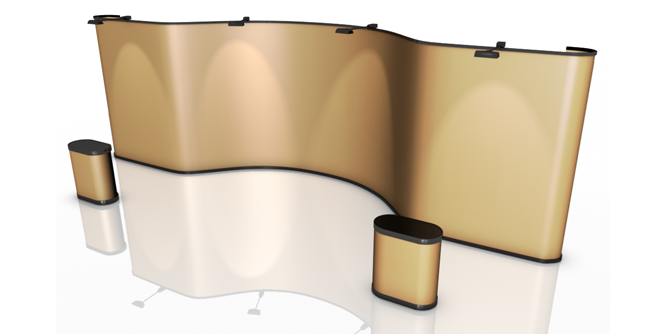 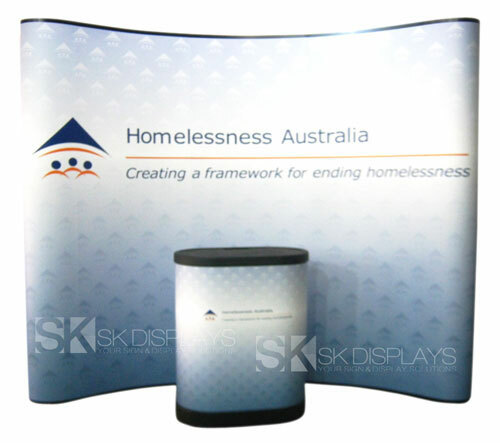 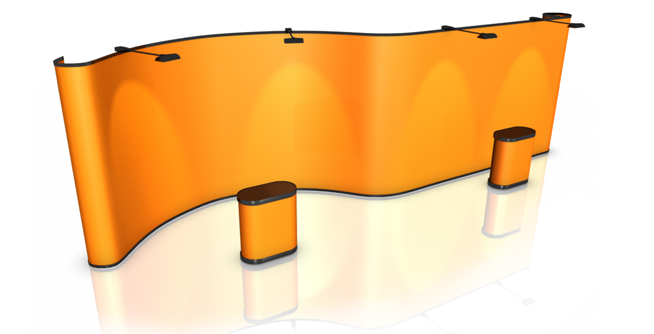 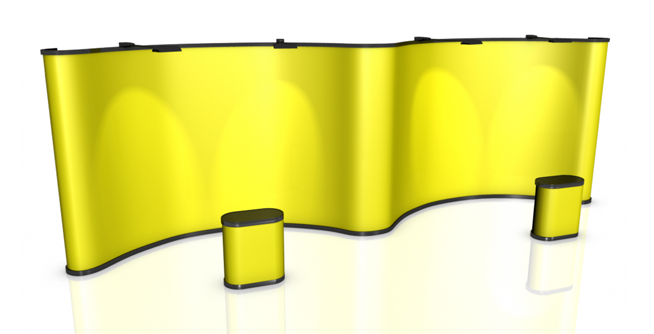 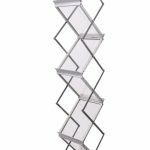 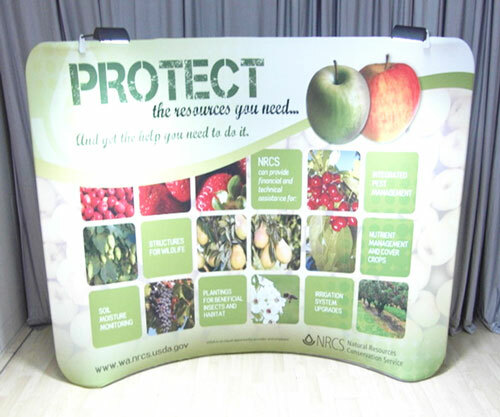 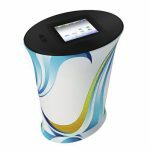 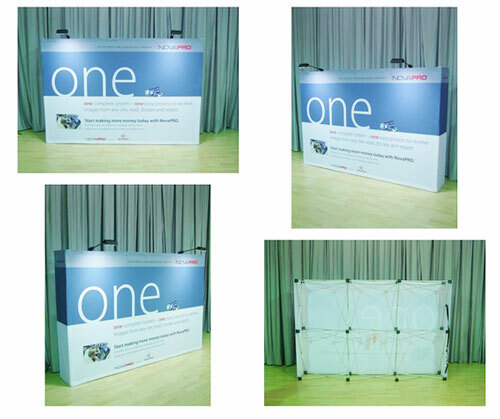 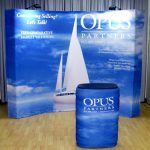 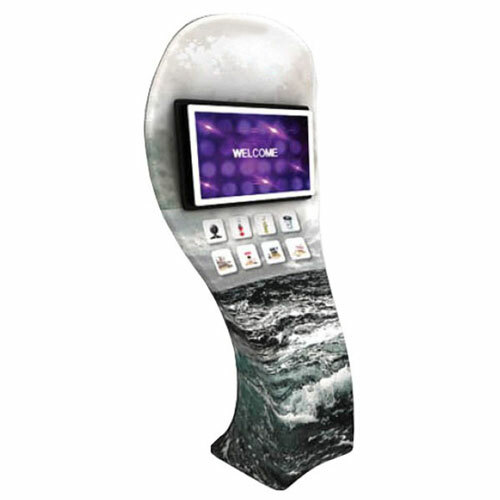 Despite its size, our 2×6 straight pop-up fabric display is not at all difficult to set up. 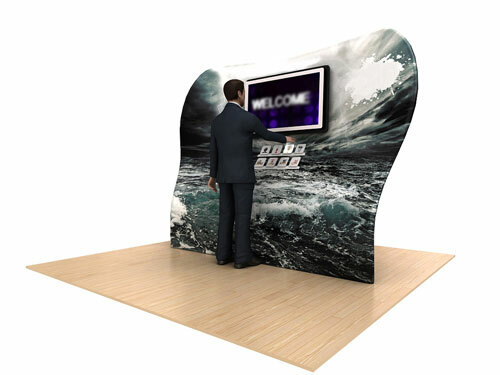 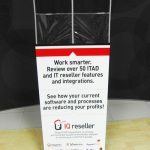 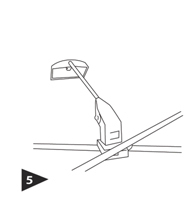 In fact, you can install it at your booth in less than five minutes. 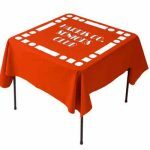 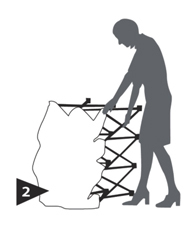 You only need to pop up the frame, stabilise it by letting out its feet and fastening the hooks behind it, and then attach the fabric graphic. 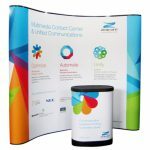 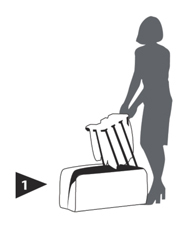 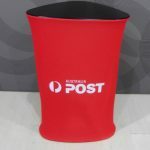 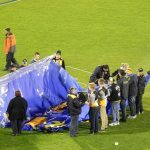 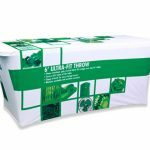 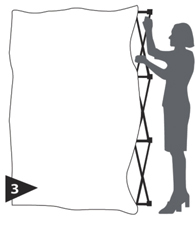 A carry bag comes with the package; this carry bag allows you to transport the media wall from place to place easily and store it without hassles. 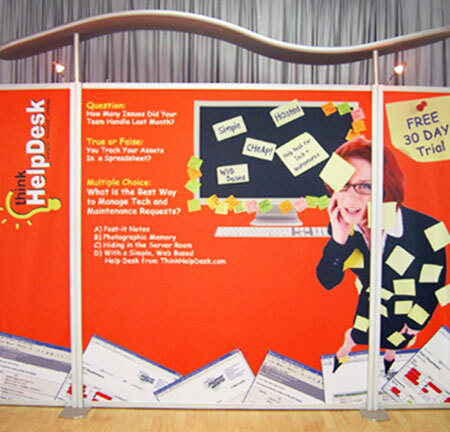 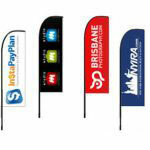 Another benefit you will get from using our pop-up wall is it will save you money. 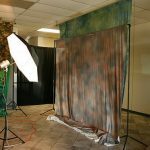 Whenever you need a new backdrop, you don’t have to replace the entire set. 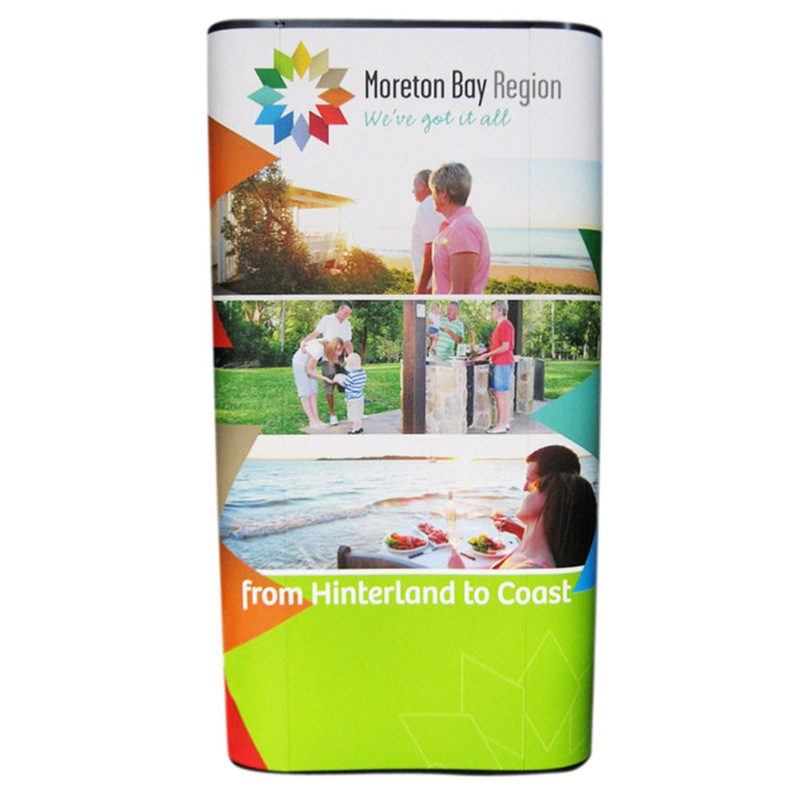 Keep the frame and just order a new fabric graphic. 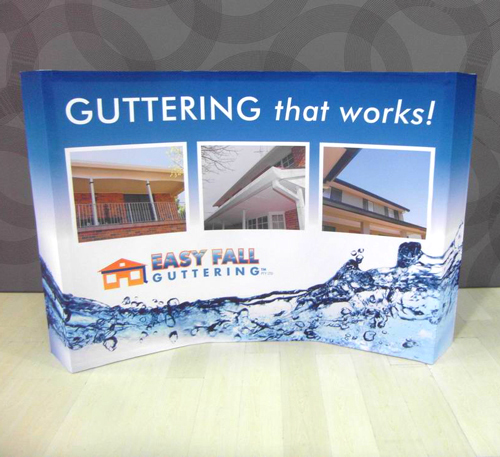 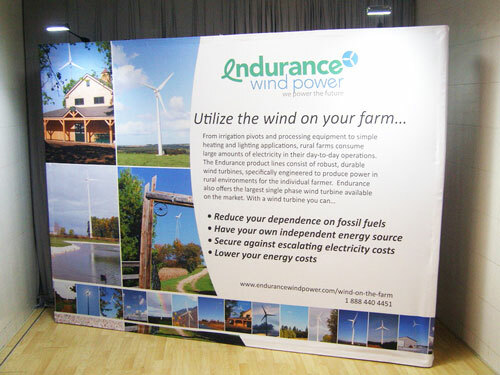 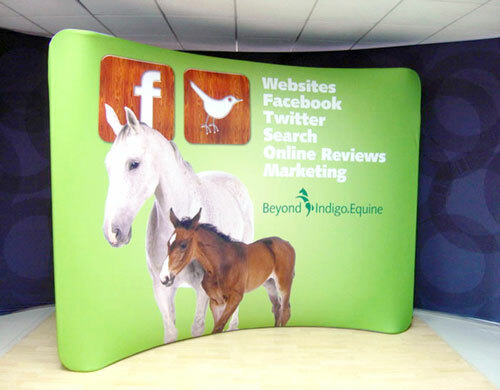 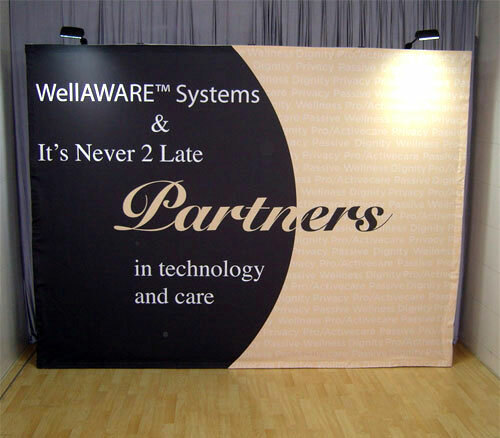 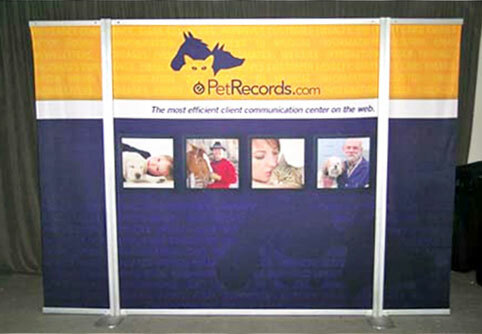 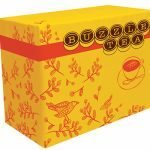 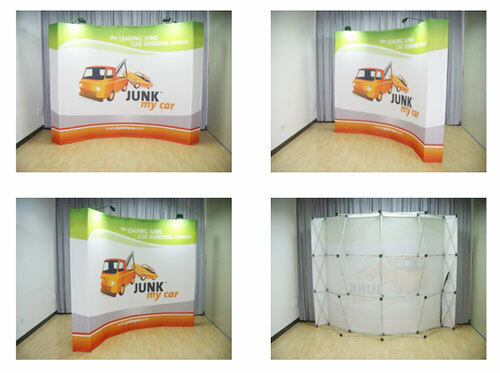 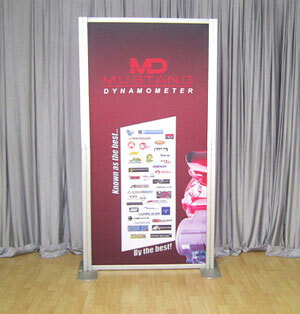 You will get a lot of mileage from our 2×6 straight pop-up fabric wall. 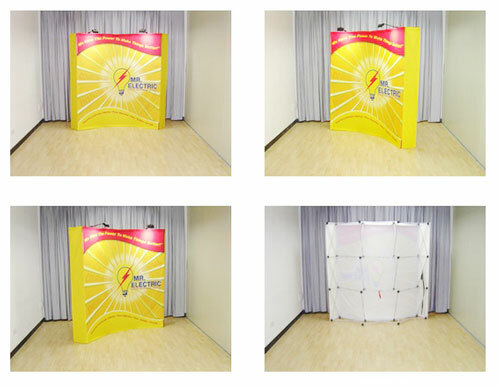 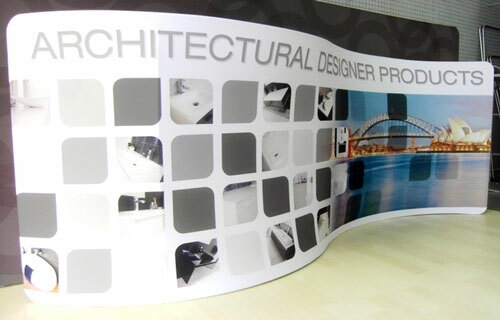 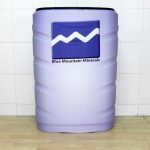 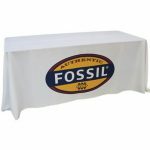 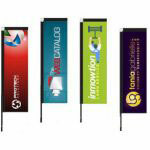 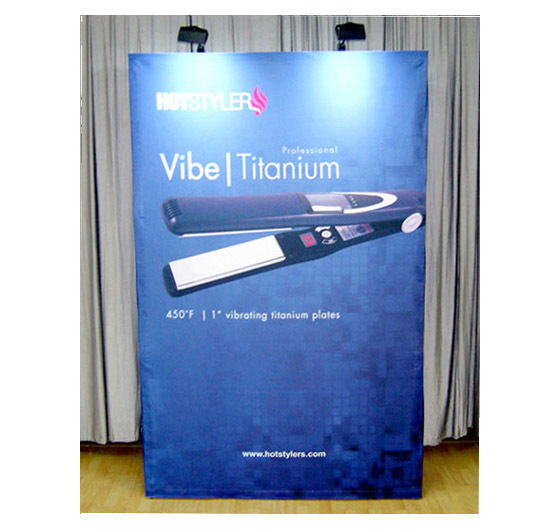 As an exhibition wall, it will command a lot of attention at a crowded shopping mall and drive customers to your booth. 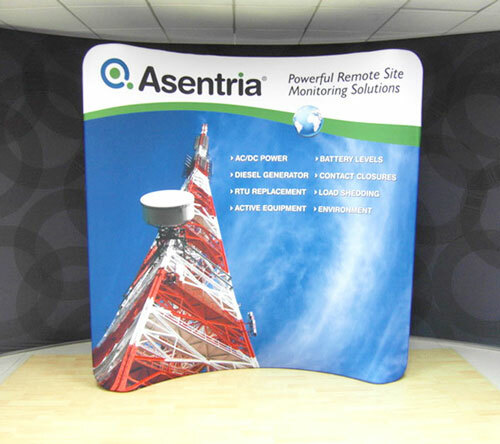 Call us for more information about this media wall today.